BACKPACKING IT is incredibly convenient. Anone who has tried this knows that a backpack is easy to carry — it feels lighter on your back. Then there’s the issue of having your hands free for other things — Wahoo!! AND if your purse is attached to you, you are less likely to lose it. 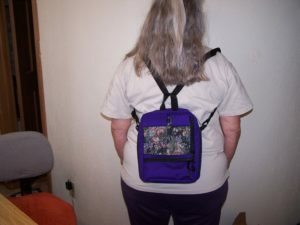 Here at MKI Bags, we’re serious about backpacks. 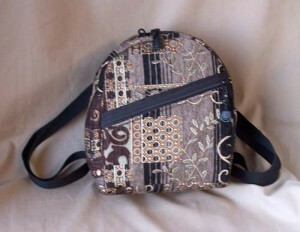 Not only do we make a very nice Tapestry Backpack, but we make a smaller and very nice Tapestry Backpack Purse. And DID YOU KNOW! 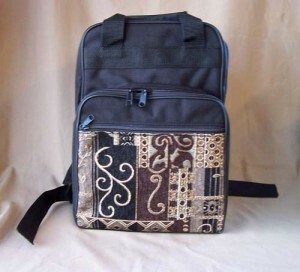 that our Tapestry Tall Purse and our Tapestry Tall Plus Purse can be worn as backpacks? 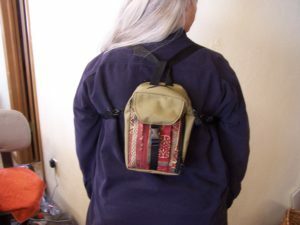 Regularly a shoulder bag or a cross-body bag, the Tall and Tall Plus can be easily converted into a backpack. Next post: QUALITY CONSTRUCTION Makes the Difference!